Web CMS has become very popular to build dynamic and interactive websites. Before building your website, you should know its benefits and how it can make your work easier. A Web CMS allows you to control and manage the content of your website easily like managing a MS Word Document. You can easily Add, Edit & Delete content, images, graphics, design and more, of your website within no time, without any professional assistance from a developer or a programmer. Your website can have numerous web pages along with a full site-search facility. You can maintain your website without much knowledge of programming though most of these Web CMS use a database to store your content. Websites should be updated regularly where new relevant content should be added. Some content is even updated automatically through RSS feeds. This becomes easy through a CMS which allows having dynamic and fresh content on your website. Fresh and updated content is helpful in getting higher page ranks in search engines, driving more traffic to your website. Your site visitors will have an enticing experience and return to you again. All leading CMSs are SEO friendly to help your target audience find you easily in the major search engines. You require no coding knowledge or technical training to manage the site. Through CMS you can create new pages, add graphics, edit them and do all the stuff easily and quickly. 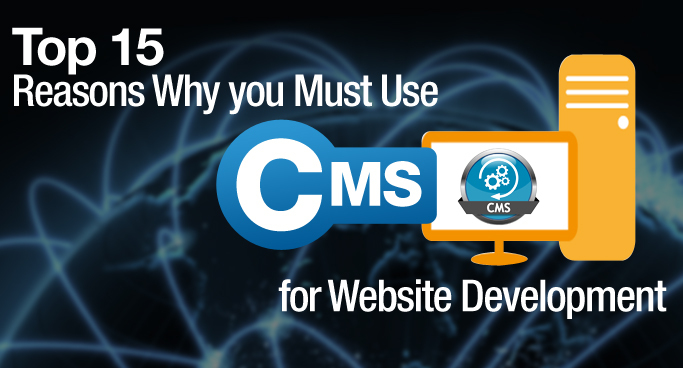 If you are not a web designer or programmer, a CMS can really be helpful to you. You will not be required to pay maintenance fees, charged by developers to update your website. Creating new web pages has become easier with a CMS through the use of template system. Links are automatically updated in case of publish of a new page, reducing the chances of dead links. A CMS brings together all the core functions and frameworks essential for a website, allowing you to make customizations as per your needs. Many CMSs come with plugins/modules helping you to add custom functionalities to your site. Some CMSs are open source, while some already have built-in RSS feeds, blog and more. The built-in features of a CMS like blog can help you to save on creating a full-fledged blog for your website. CMS can even integrate with your existing systems, where changes made in your in-house system will be reflected right away on your website as well. All the data of a CMS is stored in database, allowing you to edit your site’s information from a web browser through an internet connection from any part of the world. CMS is very helpful when only certain users are to be given rights to access a particular functionality. For example you might want to limit the access of a person to key code files of your website who only updates web pages, saving you from the risk of deleting them. Several administrators can edit the content of the website through CMS, provided they have the necessary rights to do so. So if there are different people handling different departments, they can update the information on the website from any part of the world. Most of the CMSs are scalable and upgradable to newer versions. They will grow along with your business and also not become obsolete after a few years. CMS also ensures security and safety, saving your website from hackers. Dedicated teams of various CMSs are involved in testing for security flaws and resolving security issues. A helpful Support Community is available for all leading CMSs along with relevant documentation in case of need of any guidance and also to solve your issues/queries. You can maintain theme consistency across your website including maintaining consistency in the layouts and functionality through a website CMS. A CMS allows you to keep in touch with your customers as it makes your website interactive, helping you to maintain a cordial relationship with them. Web CMS is Beneficial, but should you Opt for it? Which are the Best Open Source CMS Platforms? Semaphore Software can help you to fully avail the benefits of a Web CMS. We are an expert in providing customized CMS development services. Please call us on + 1 201 299 3668 or contact us through info@semaphore-software.com to leverage the true potential of CMS! !